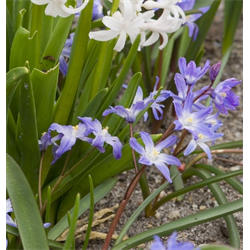 The glory of the snow bulbs are one of the earliest bulbs to bloom in spring. Excellent naturalized with daffodils, muscari or scilla. Pricing is per package and per variety for chionodoxa bulbs (quantity discounts apply).